I am a blueberry addict! Living in Maine, there are blueberries everywhere and I am ready to pick them anytime! Lemon and blueberries go so well together, the sweet and tart combination is out of this world! Since summer is almost here, I am loving the quick and delicious recipes. I want to spend more time outside in the sun than in my kitchen. This quick bread is amazing, made with yogurt, it is moist and delicious. I wish that I had baked two loaves because this one disappeared quickly. You will love the smell of this bread baking in the oven, it is heavenly!! Use a 9×5 inch loaf pan. Top with more blueberries! 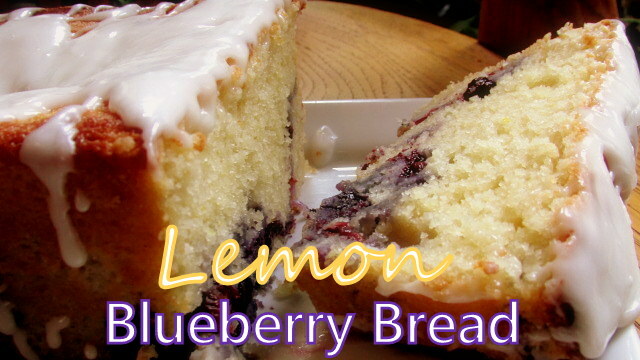 Lemony Blueberry Bread! Smells amazing! This is a moist, delicious quick bread that will disappear quickly, you will want to make two loaves, it is that good! Cream butter and sugar together with an electric mixer in a medium size bowl until smooth. Beat in eggs, vanilla, sour cream, lemon juice and zest. In a separate bowl mix together the flour, baking powder, and baking soda. 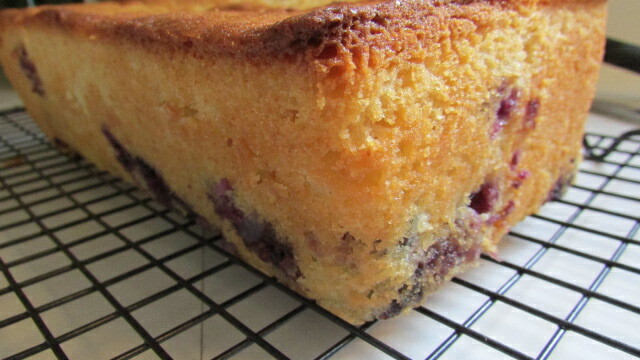 Mix the dry ingredients into the wet.Fold in ¾ of the blueberries into the batter. 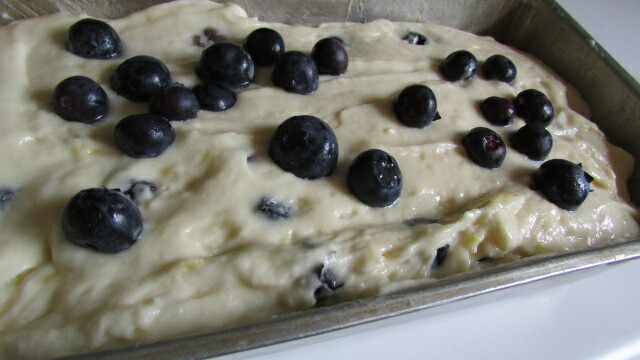 Turn the batter into a greased 9×5-inch loaf pan and sprinkle the remainder of the blueberries on top of the batter. Bake for about 55-60 minutes or until toothpick inserted in center of loaf comes out clean. Let bread cool in pan for about 10 minutes, then remove from pan and place on cooling rack to cool completely (about 30 minutes). Mix confectioners sugar, cream and lemon extract in a small bowl. Drizzle over cool loaf and let glaze set before slicing. Extra lemon zest can be added to the glaze for added lemon flavor. Water can be used in place of heavy cream or milk to make the glaze. 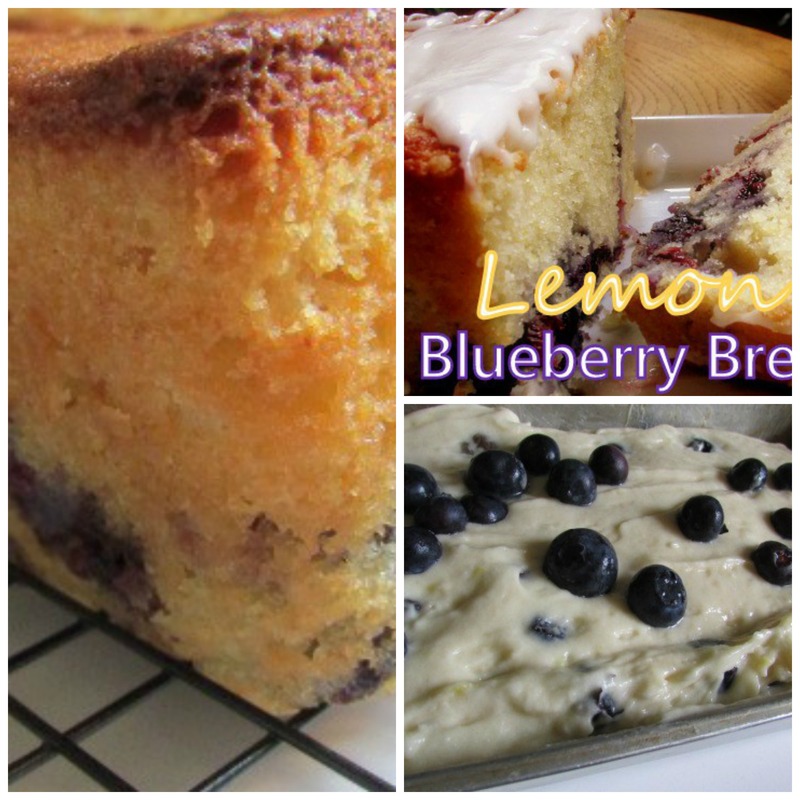 WOULD YOU LIKE TO SEE MORE BLUEBERRY RECIPES?? Wonderful treat you brought – had one slice for lunch. I made this today……there is no way this batter fits in a 9×5 loaf pan. The batter was to the top of the pan and I thought okay perhaps it doesn’t rise much. No, spilled over in the first 10 minutes. Should have gone with my first instinct. This was wonderful! Absolutely perfect. I had no problem with the amount of batter; it rose above the edge but didn’t spill over. I’ll be making this one often! I am so happy you enjoyed this bread Lorinda! I am a professional baker. I do this for a living. The only time I have ever had a cake spill over is when I have used the wrong size pan. Lemon and Blueberries are my favorite combination. I wish I had taken a picture when I made mine, it was absolutely delicious and no spills! Hello plz could u tell me how much is half cup of butter softened is it one stick..